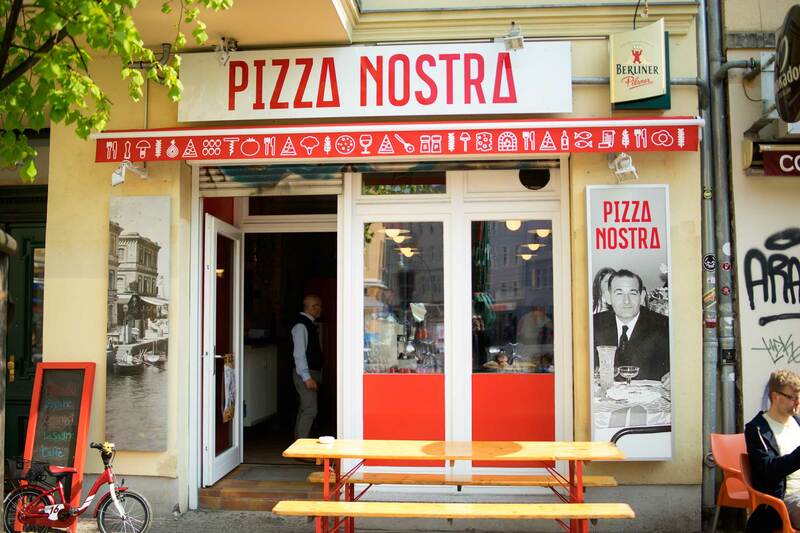 Pizza Nostra in Prenzlauer Berg is something of a hidden pizza gem in Berlin. It’s a simple pizza joint that not only serves a great, classic pizza slice but also a couple of delicious Southern Italian varieties like the Pugliese. 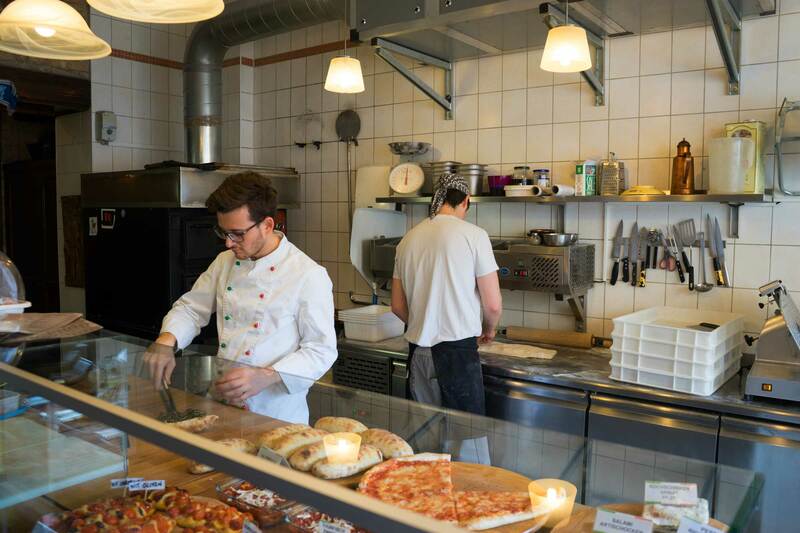 When it comes to a simple, sloppy pizza these guys are some of my favourites in all of Berlin. 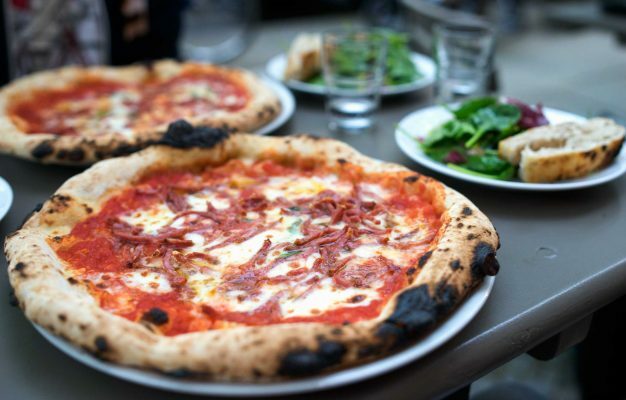 Berlin has a couple of good Italian restaurants, but there is not an abundance of great pizza places. 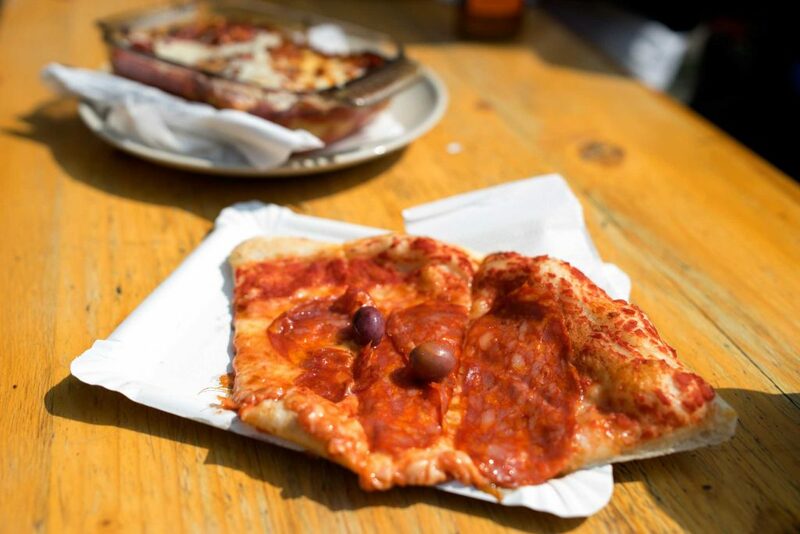 There are of course plenty of snack style places where you get a decent, squared pizza slice with a thicker crust. But truth be told, that’s not really an authentic, Italian pizza. For that you need to visit Pizza Nostra. Located right off Lychener Strasse in a very simple location, this place is a perfect stop for a little snack. In the winter you’ll have to squeeze in the quite tiny venue, but in the summer you can enjoy the sun on the outside tables. 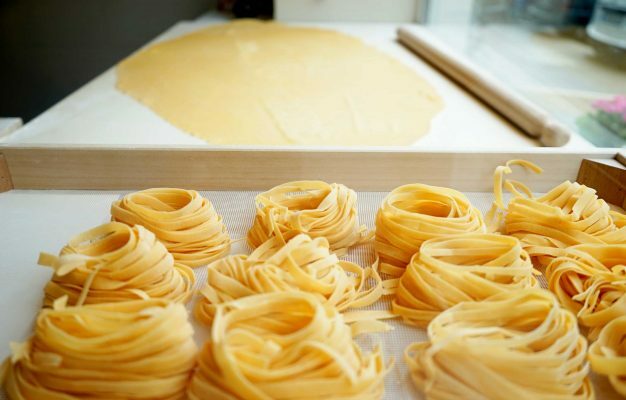 The place is run by the brothers Giuseppe und Luca Giugliano and Pizza Nostra is a way to honour their Italian heritage as their family used to run a bakery in Napoli over a 100 years ago. The pizza baking trade including the recipe for the dough is something they got from their uncle and he even tagged along to berlin in 2008 for the opening phase of the restaurant. 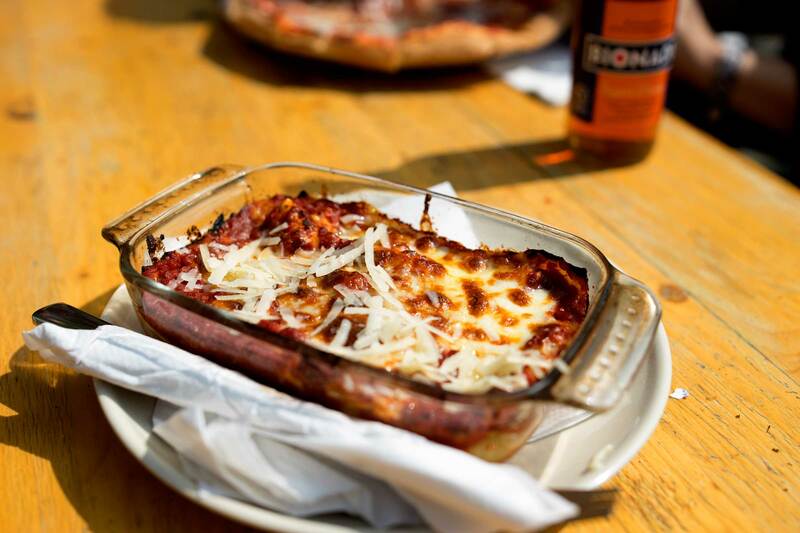 The Pizza Nostra menu consists out of a couple pizza varieties, a lasagna and a tiramisu. The pizza selection works in a way that you pick the toppings you want on your pizza, either from a number of suggestions, or you just go wild from what you feel like. The selection of toppings is very classic and includes a killer parma ham, a spicy salame and cheeses like Taleggio and Gorgonzola. 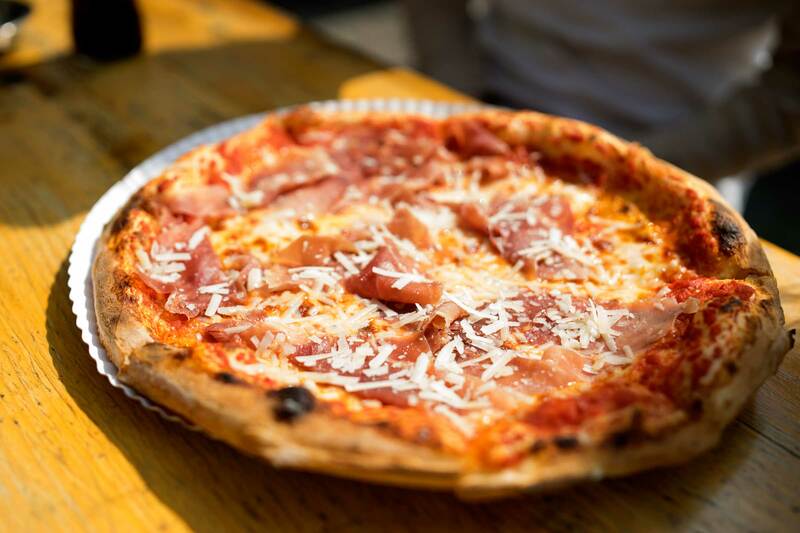 The crew also offers a couple of Napoli varieties which are truly unique for Berlin, you can for example order the Rollo, a dough roll with different fillings like radicchio and walnut or ham and cheese, amazing stuff and a welcome variation to any pizza meal. Or you order the Piemontese, a fantastic, bruschetta-looking thing with cherry tomatoes in two beautiful rows. All the pizza varieties at Pizza Nostra are very good (the lasagna is really average) and the shining star of the food is the dough. It has that great consistency, thickness and elasticity where even the crust is damn delicious. With every bite you taste the passion and knowledge that went into fabricating this dough, it’s bloody art. 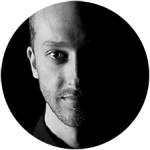 The crew is equally great, extremely friendly, helpful and Italian to the bones. These guys are very serious about their pizza, traditions and their family’s recipes. If you ever feel unsure about your food choice, they will be more than happy to assist you. 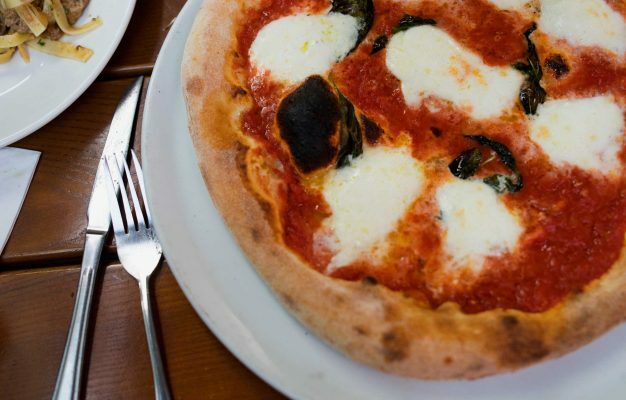 Pizza Nostra is really more of a snack bar than a restaurant and thus really more of a place for a lunch or a casual dinner than a proper, sit-down dinner. Or why not grab a pizza for take away? Give it a go, you will not be disappointed.